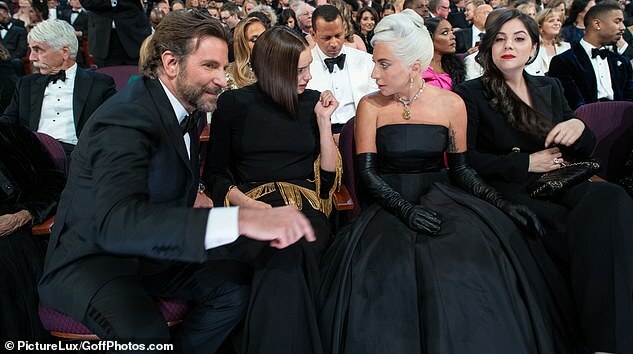 After a high-stakes night at the Oscars, it’s time to get back to the daily grind for Bradley Cooper and Irina Shayk. The 44-year-old actor and his 33-year-old romantic partner were spotted heading out to run errands in Los Angeles. The couple looked exhausted after a night full of parties. The 5ft10in model was dressed simply in a white crocheted sweater and a pair of high-waisted acid wash jeans. She wore a pair of large hoop earrings and a set of weathered white trainers. Bradley had on a navy blue shirt and gray pants as he carried his daughter Lea. 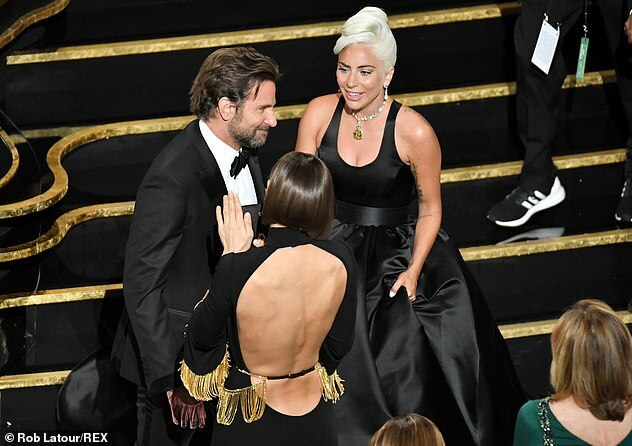 Bradley and Irina were out and about as speculation about his chemistry with Lady Gaga during their performance of the Oscar-winning Shallow abounded on the internet. 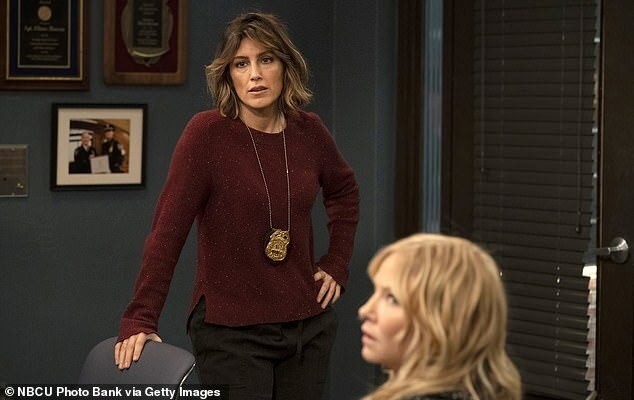 The American Sniper star’s ex-wife, Jennifer Esposito, 45, weighed in on Bradley and Gaga’s performance after comedian David Spade joked about it on Instagram. ‘Is there any chance these 2 aren’t f***ing?’ he wrote with a picture taken from his TV set of the two performing, as reported by Us Weekly. The Affair star has taken jabs at her American Sniper ex in the past. In her 2014 memoir, Jennifer’s way, she included a passage that apparently painted Bradley as a ‘master manipulator,’ though she chose not to name who she was referring to. ‘We had fun, but he also had a mean, cold side,’ she continued. ‘His personality could flip on a dime … It wasn’t all bad all the time, so I figured this was just my lot, and I took the good with the bad, even though the bad was extremely bad. ‘Within days, my relationship hit an all-time low, and within a week, it was over. Abruptly, rudely, and with the exact callousness that I’d come to expect from him, but this time, I did nothing but agree to end it,’ she wrote. Bradley also weighed in on their short-lived marriage during a 2011 chat with Howard Stern. ‘It was just something that happened. The good thing is, we both realized it … Sometimes you just realize it,’ he said. Although his ex-wife might have had a little fun at his expense, Bradley’s current partner didn’t seem to mind at all. Irina Shayk, 33, looked perfectly happy as she sat between the director and the singer. 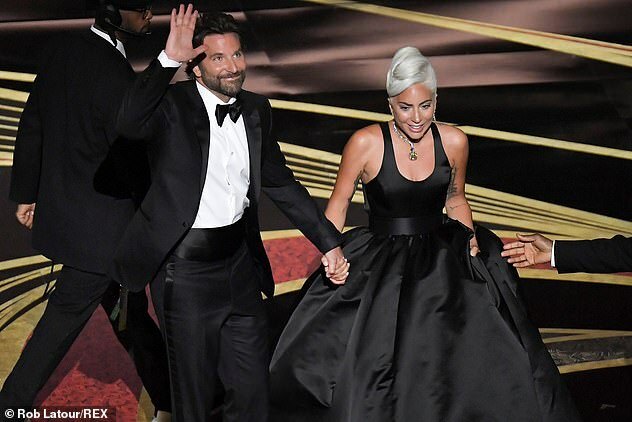 Later, when Gaga went up on stage to accept her Oscar for Best Original Song, she and Bradley were caught thunderously applauding for the Shallows singer. 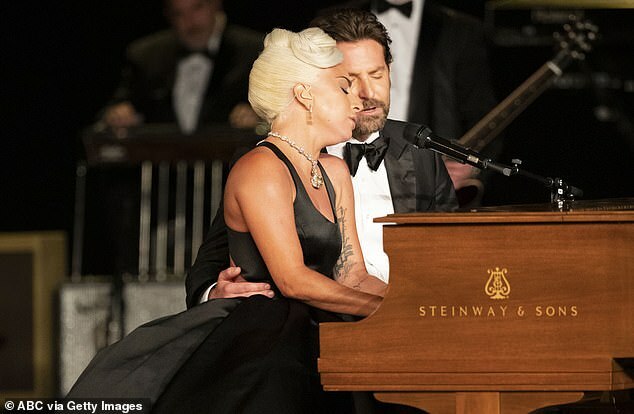 On an Instagram picture of herself performing with Bradley, Gaga shared her appreciation for her director. 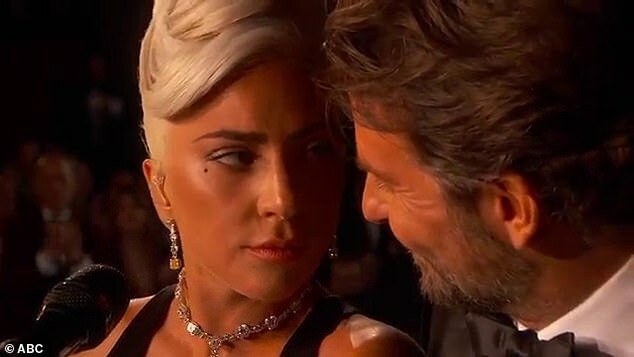 ‘Nothing could be more special than sharing this moment at the Oscars with a true friend and artistic genius,’ she wrote. The Silver Linings Playbook star has been together with Irina since early 2015. The two welcomed a daughter, one-year-old Lea, in 2017. Prior to their relationship, Bradley was involved with English model and actress Suki Waterhouse from 2013-2015. Irina ended a five-year relationship with soccer star Cristiano Ronaldo in 2015.